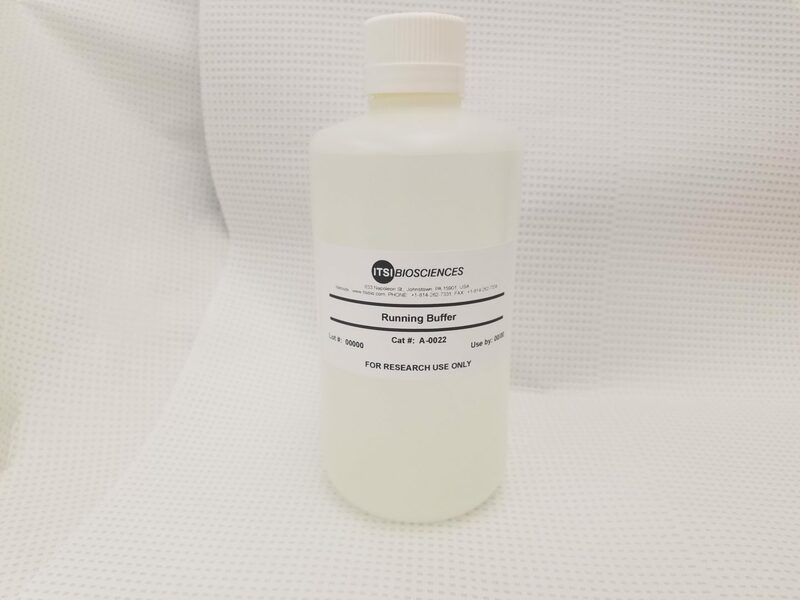 Proteomics grade Running Buffer for electrophoresis. 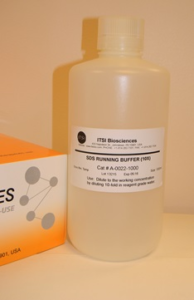 This unique buffer is prepared and validated for proteomics applications. It contains Tris (hydroxymethyl) Aminomethane Free Base, Sodium Dodecyl Sulfate and Glycine. Each kit contains 1000ml of buffer.